Some Politicians and Social Engineers in the last century and a half have used the science of eugenics to help progress their movement in an effort to implement their ultimate goal of population reduction and control. Some techniques that have been used are birth control, abortion, forced sterilization, human experimentation, and even murder. There are hardly any positive connotations in relation to eugenics even though early proponents had good intentions (Gillham 84). Galton and other eugenicists desired to eliminate mental illness and other diseases from the world, along with other social ills like violence and promiscuity. The approach was to breed it out of existence and end the misery caused by illness and disease. Initially, with Galton’s intention of perfecting humanity, the idea behind eugenics was to encourage reproduction by “fit” parents and discourage the reproduction by “unfit” parents. Galton was keen on producing pedigree data on his subjects and presented this in his book Hereditary Genius (Gillham 88). Galton surmised that human beings inherited traits from their parents. This “theory of inheritance” drives Galton to adopt the concept of nature versus nurture and eliminates the idea of “acquired characteristics” (Gillham 92). Within the last century and a half, wealthy American families like the Carnegies and Rockefellers have funded scientists who studied genetics and racial hygiene (Messall). Probably one of the more vocal and well-paid eugenicists in her era was Margaret Sanger who founded Planned Parenthood under the guise of sexual health and reproduction. The organization supports the use of contraceptives and abortion as a way of planning a family. It still exists today and was pivotal in Roe v. Wade, which affords a woman the right to have an abortion. The legalization of abortion has had a “disparate effect on African-Americans (Messall 33),” reducing the fertility rate per one thousand women from 84.9 to 65.8. Whereas the fertility rate for whites moved down only slightly from 65.6 to 64.8 per one thousand women (Messall 33). If the aim of eugenic organizations is to reduce the population of a certain segment of society, it is succeeding. 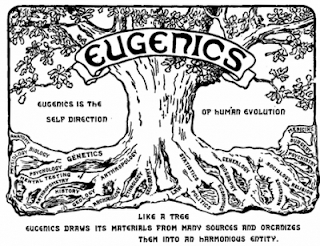 There are some positive implications associated with eugenics. Eva M. Neumann-Held, in the article Can It Be A Sin to Understand Disease, suggests that people in the modern era must disconnect from the eugenics of the 1930’s (6). Modern scientists are more interested in investigating the role of genes in disease. Neumann-Held defines genes as something that is “inherited, has to do with DNA, and influences the shaping of traits in the development of living beings and, over evolutionary times, of biological species (6).” Proponents of eugenics suggest that the practice of breeding out negative tendencies will help to end misery and illness and disease. Conversely, there are so many questions about how eugenics plans to do that. Prenatal testing can now confirm whether a fetus will have Downs Syndrome or Spina Bifida (Lawler 73). We now have the ability to either terminate the pregnancy or continue on as nature intended. It all seems so sterile, so sanitary, so harsh to test an unborn child for physical and mental defects and then choosing to end its life based on the results. However, Bioethicists say that it is “cruel to choose just for life; nobody should choose misery and pain for another (Lawler 74).” We have the right to think of our own lives and determine the best way to enhance and increase the quality of life. However grand the American Eugenics Society’s master scheme might have been in manipulating human behavior and eliminating certain segments of the population, ultimately the damage is done on an individual scale, first, then balloons into a social phenomenon that produces shocking statistics like the reduction in fertility rate mentioned previously. 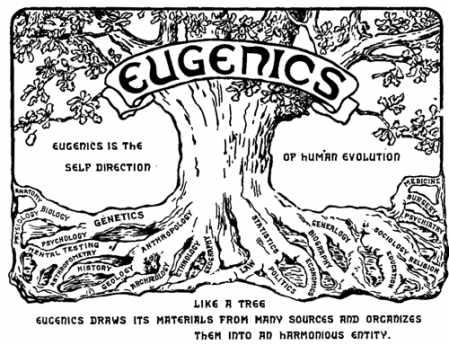 The negative implications of eugenics only get worse with government involvement such as Hitler’s and yet it is disturbing to think that this segment of science will go unregulated. This topic reminds me of a movie called "Rabbit-Proof Fence." Based on a true story in Australia and two Aborigine sisters. If you haven't seen it, check it out. Awesome story.. and touches on what you are writing about here.